How sad. Another special part of Yosemites rich history now gone forever, people need to leave things alone and let us enjoy what little we have left. The Merced River Plan set aside a portion (less than 5% of the Park) for us all to use for recration and enjoyment and now they’re taking that recreation from us. What a sad, sad day. very sad to hear. I was on a high sierra pack trip this summer, what a great experience in beautiful country. Too bad that future visitors to Yosemite won’t be able to enjoy these trails and views. 100 years later we decide it isn’t the right thing to do. Bureaucracy at its best. I love the whole idea of the park service but Washington bureaucrats ruin all. Hi Benjamin – Fortunately, the high sierra pack trips will continue! What is closing is the two and four-hour rides. So sorry to hear this. I went on my first trail ride ever in Yosemite and was looking forward to returning someday to do another. Don’t really agree with their reasons for discontinuing trail rides. Rumor that “Delaware West” wants to build a Mega Mall up there, not knowing that it’s up in the Sierra Mountains! HAHAHAHA Idiots! This is so sad. I’ve been visiting Yosemite since I was a toddler and I am now in my 40’s. The stables have always been apart of our memories and an activity we looked forward to doing as a family. I am so disappointed. I hope this ridiculous decision can be overturned in the future. I learned of this when visited valley in July & been asking on FB more as to what alternatives or optional trails might be at least a possibility but no one really seems the least bit really even heated up so I guess it’s a sad good bye…..
Hi Dennis, unfortunately, the time for public comment on the Merced River Plan and Tuolumne River Plan is long past. Plenty have been vocal about the loss of trail rides in the park, but the new concession contract (based on the plan) does not have any provision for operating commercial trail rides in these locations. The Merced River Plan alone is over 3,450 pages long, plus a 200-page “Record of Decision.” And these are dense pages. No sane person would seriously attempt to plumb its depths. Among other things, it is being used as an excuse to “upgrade” Camp Curry by building 52 new “cabin/hotel rooms” in two-story structures. The Merced River Plan also includes “Alternative 6,” which proposes to completely tear down Yosemite Lodge, redevelop it with new three-story lodging structures (providing a total of 440 units, up from the current 245), and add new parking for an additional 395 cars. Alternative 6 also calls for all of the tent-cabins in Curry Village to be replaced with “permanent” lodging. Alternative 6 is “rejected” by the plan, but there it is, laid out in all its glory, just waiting to be resurrected after the next rockslide, the next flood, or the next change of administration in Washington DC. What are they thinking, this park was supposed to be for the people, not for the lawyers and politicians, this world has gone politically berserk. This move to close is proof! 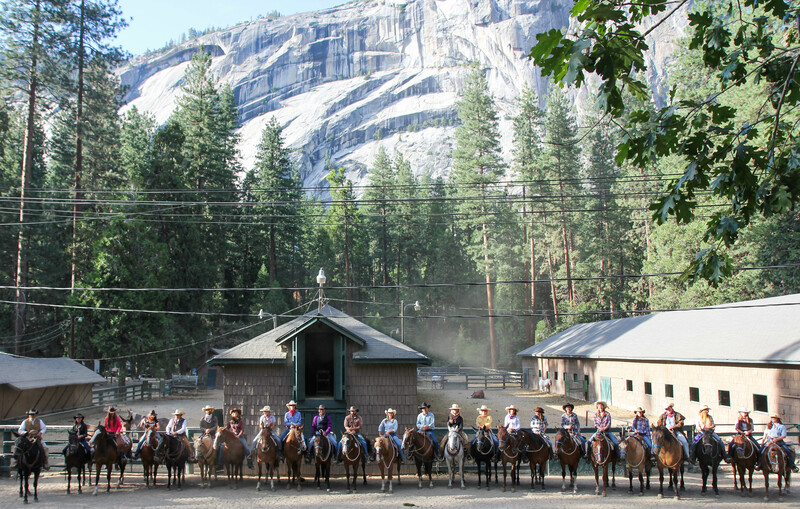 Will people still be allowed to bring their own horses into the park to ride and camp? If so where will they be allowed?